What Is Anterior Cervical Decompression And Fusion Surgery (ACDF)? ACDF is a spinal procedure that may be performed when non-surgical interventions have failed to achieve lasting pain relief in the instance of cervical radiculopathy. The objective of this surgery is to alleviate pressure on the spinal cord that has originated with bone spurs, herniated disc, or other degenerative disc disease. Am I Candidate for Anterior Cervical Decompression And Fusion Surgery? Patients for whom conservative modalities such as physical therapy and medication have not produced the desired amount of symptom relief may be good candidates for ACDF surgery. In addition to a thorough history of the neck injury itself, we will also complete a detailed medical history to confirm the patient is insufficient health to undergo neck surgery and its recovery period. Some patients may need to stop smoking or modify certain medications in order for ACDF to be considered a viable treatment option. First, an incision is made in the lower part of the front of the neck. Underlying muscle tissue, trachea, esophagus, and carotid artery are maneuvered so the surgeon has direct access to the front of the cervical spine (the anterior aspect). Retractors are then inserted to hold delicate structures in place while the surgeon observes the spinal segment using surgical loupes or an operating microscope. Fluoroscopy or x-ray imaging is used to confirm the level or levels of the intervertebral spaces that need to be decompressed. Decompression is achieved by removing bone and soft tissue that are pressing down on the nerve root or roots. Space is then reconstructed to support the cervical spine. 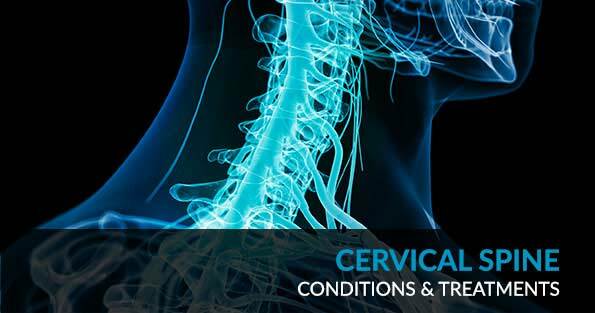 Normal loads of the cervical spine may be reinstating with grafting that spans the intervertebral space. This consists of a combination of bone from the bone bank and local bone from the area of the spinal decompression. In a majority of cases, Dr. Todd Albert does not take a bone graft from the patient’s iliac crest (hip area) meaning you will not have a separate incision. The second component of the fusion is the instrumentation. This is a plate and screws that are then placed anterior to the vertebrae. Overall, most patients who undergo Anterior Cervical Decompression and Fusion Surgery enjoy significant improvement. Results are maximized when surgery is performed before the spinal cord has been severely injured. ACDF surgery has been shown to halt the progression of spinal disease by removing the source of nerve compression and spinal damage. When consulting with patients, a surgeon estimates prognosis based on the severity of the existing compression. It is important to keep in mind that pain is a very subjective experience and one’s reaction to surgery is affected by a variety of factors. After ACDF surgery, the most common concerns we hear from patients are a sore throat (similar to after getting a tonsillectomy) and discomfort around their scapula (or shoulder blade). Both of these tend to resolve prior to the first post-operative appointment at 2-3 weeks after surgery. If you have a physician who recommends that you do not stop Aspirin prior to surgery please be sure to discuss this with our office. You should also discontinue all exposure to nicotine, as well as nicotine-containing products, two weeks before and at least 6 weeks after your surgery. Dr. Albert performed the following surgery: anterior cervical discectomy and fusion, C3- C6 with instrumentation, posterior cervical laminectomy, C3-C6 and fusion with instrumentation and bone graft. One could describe Dr. Todd J. Albert as a gentle giant, yet a doctor and a surgeon who is very proficient and accomplished in his work. Confident with sound judgment and compassionate about his work, one could say Dr. Albert is a genius, an Amazing doctor, nothing but perfection, a doctor with honor and integrity who takes much pride in his work. I continue to think of Dr. Todd J. Albert as a Superman in my life who took over for the rescue when I was drowning with spine problems with no hope and no answers, restoring my hope and giving me answers to all aspects of my spine condition. During the first 2-3 weeks after you have anterior cervical decompression and fusion surgery, your activity will be limited to walking. We encourage you to walk as much as you are comfortable. You may go up and down stairs, with the use of a railing, and you may also sleep in a normal bed. You will be limited to lifting 5 pounds for the first 2 weeks. After two weeks you will be able to resume low-impact cardiovascular activities and increase the amount of weight you are lifting. Within a reasonable amount of time, you will have very few restrictions on your activities. Please be sure to discuss any specific questions with us in the office. The first visit is 2-3 weeks after surgery however if you have any questions or concerns please call the office. If we think we should see you in the office we will schedule an earlier appointment. Most patients do not have sutures that need to be removed after an Anterior Cervical Decompression and Fusion Surgery. There are internal sutures that will dissolve with time. There will also be steri-strips (white pieces of tape) over the incision that will either fall off or we will remove them on the office. Please keep in mind that the recovery from surgery is quite subjective and is affected by various factors such as patient age, comorbid illnesses, the degree of the spinal cord or nerve impingement, the length of illness prior to surgery as well as the degree of disability prior to surgery to name a few. The average amount of time patients wear the collar after an ACDF is 2-3 weeks. The average length of time out of work after Anterior Cervical Decompression and Fusion Surgery is between 2-4 weeks. Patients who perform labor intense jobs are more likely to be out of work closer to 4 weeks. Will I need physical therapy after ACDF? We will provide you with isometric neck strengthening exercises that can be performed independently. If you are experiencing any motor weakness or balance changes before surgery we will likely recommend outpatient physical therapy after surgery. Can I have an MRI after ACDF surgery? Yes, after someone has ACDF surgery they are still able to have an MRI. The titanium instrumentation does not react to the magnet in the MRI machine however you should still notify the MRI facility of the presence of the instrumentation. For more information on ACDF surgery, call 212-606-1004 to schedule a consultation with New York City Spine Surgeon, Dr. Todd J. Albert.